A surveillance camera took this photo of the suspect in Friday's shooting in the parking lot of the Midtown Safeway in Palo Alto. Palo Alto police today (Aug. 4) released two photos in connection with a shooting last night in the Midtown Safeway parking. Police chased a vehicle as it fled the scene, but officers don’t know who the victim was or the suspect. Police are hoping the photos will yield tips from the public. The episode began at 9:15 p.m. Friday (Aug. 3) when 911 dispatchers received several calls about a shooting in the Safeway parking lot at 2811 Middlefield Road. As police arrived, they saw a white Lexus SUV with paper plates speeding away. The SUV appeared to have a shattered window. Cops pursued the car until it got on Highway 101 and the stopped chasing it. 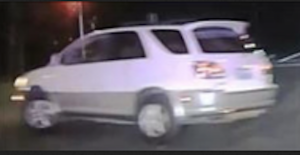 The Lexus SUV that sped away from the Midtown Palo Alto Safeway. It’s believed the victim of a possible shooting drove this vehicle. Other officers at Safeway were unable to find the victim or anybody else involved in the shooting. From talking to witnesses, police determined that the driver of the Lexus SUV had gotten into a confrontation with the suspect in the parking lot and was actually the shooting victim. Witnesses said the suspect, who remains unknown at this time, confronted the victim in the parking lot as he was getting into the Lexus and fired several rounds from a semiautomatic handgun into the victim’s vehicle before the victim sped away. The victim’s identity isn’t known to police, and they don’t know if he was hit by any of the bullets. Police checked hospitals in the area but none reported any gunshot victims last night. Police don’t know the reason for the confrontation. They don’t even know if the two men were acquainted with one other. 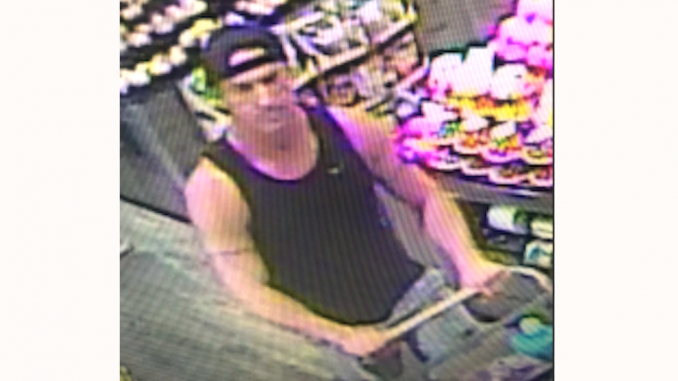 Surveillance video from Safeway shows the suspect is a muscular white male in his 30s or 40s, wearing a black tank top and a black baseball cap work backwards. The suspect appears to have thin tattoos — possibly tribal bans or barbed wire — around both biceps. The unknown victim is a black man in his 20s or 30s, wearing a black hooded sweatshirt. Police said they are concerned for his welfare, and want to make sure he has received medical treatment for any injuries he may have received in the altercation. Anyone with information about this incident is asked to call police at (650) 329-2413. 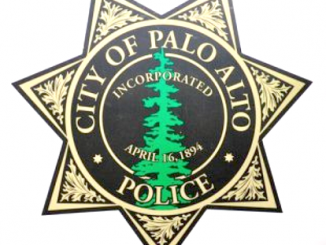 Anonymous tips can be e-mailed to paloalto@tipnow.org or sent via text message or voice mail to (650) 383-8984. Tips can also be submitted anonymously through the police department’s free mobile app, downloadable at bit.ly/PAPD-AppStore or bit.ly/PAPD-GooglePlay. 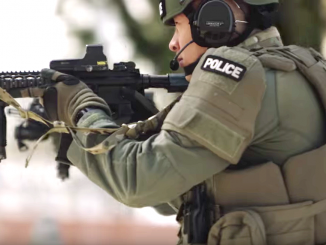 If police catch up with the shooter, but can’t find the victim, do they have a case against the guy, or is it just going to be catch-and-release? If somebody was shot by the bullets, there’s a chance that there was blood in the parking lot. Yet I notice the story doesn’t mention any blood. Just wondering. Got a hunch that neither of these guys are from Palo Alto. How they came together in the Safeway parking lot is an interesting question to contemplate. A fender bender? A passing insult? “Police said they are concerned for his welfare, and want to make sure he has received medical treatment for any injuries he may have received in the altercation.” What BS! Bank on this being a drug deal gone wrong or some other idiocy that happens when two knuckle draggers occupy the same space. The idiot in the Lexus could have gotten many people killed or injured speeding like a maniac. Getting shot at gives you the right to speed at 100mph through “heavy traffic” for miles and miles? 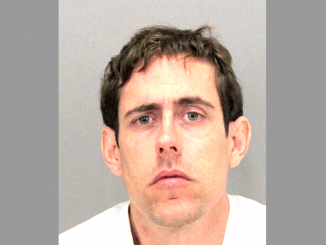 Did the suspect pay at Safeway with a debit/credit card or use his Safeway card ID at checkout? That might yield his identity.